The San Benigno crop circle is a representation of what Planet X will look like after the passage, during the months after the passage. The Earth will again start orbiting the Sun, and the Dark Twin will fall back in their shared orbit to disappear once again behind the Sun. Planet X has a retrograde orbit, clockwise. The double helix was very evident in early photos taken of the complex when it was inbound in 2003, and forms the wings of the Winged Globe as the complex has appeared on SOHO lately. Planet X leaves the solar system in an almost straight line, outbound from the Sun, but in the view from Earth appears to curve as the Earth is then moving in its curved orbit around the Sun. 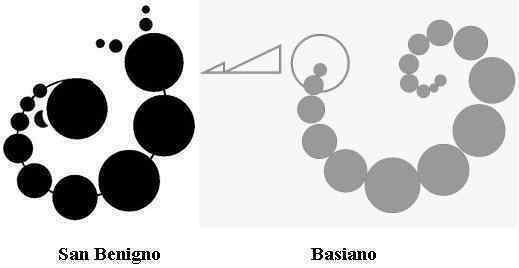 In a similar manner, the Basiano crop circle is depicting what to expect from the planet Venus. Venus will be squeezed so tightly in the cup toward the Earth, that it will appear to come from the Sun, no longer in its orbit as viewed from Earth. It will loom large as it is squeezed toward the Earth, and then escape to resume its normal orbit, a counterclockwise orbit. Nancy has said that though many contactees want to be involved, start out that way, get support from the visitors, and then fade, the Zetas say 19 of 20 such contactees proves to be a disappointment for them. I'm sure the reasons are varied but could the Zetas explain the main reason why only 1 out of 20 contactees live up to the Zeta's expectations? That is a pretty high failure rate. In saying that 19 out of 20 contactees that we support prove to be a disappointment, we are not talking about the vast majority of contactees who are seeking information about the coming times, and seeking consultation in general on many matters. There are those contactees who have chosen an ambitious role, who in the view of ourselves and other aliens in attendance during the Transformation deserves our backing and support. Often, these are contactees who are intent upon their role well before their current incarnation. They are contactees who have a track record from past lives, giving us some confidence that their missions will succeed. An example is Nancy in her communication role. She had a pre-birth agreement to participate in the hybrid program, but more than that was an understanding among all concerned that she would attempt to position herself as a communicator going into the pole shift, even at risk to herself. This was entirely in keeping with what we knew of Nancy from her past lives. She more than met our expectations and deals with danger with almost unflappable courage. ZetaTalk has been more successful than expected and has required more of our resources to be assigned to this task. So what goes wrong when 19 of 20 such individuals disappoint? Courage is a key attribute, as the time of the Transformation is a time when polarization of the spiritual orientations is occurring, so a Service-to-Self attack is strengthened by numbers and thus much stronger than in past lives when it would have been diluted. The contactee realizes this is war, not just a skirmish, and backs away from the mission. Life circumstance is another factor, where the contactee anticipated a life of ease, a supportive spouse, economic security, and good health. When this does not manifest, they think of immediate issues first, pushing the soul mission to the background. Has Nancy encountered this? She has health issues and almost died from French Polio, bearing the remnants of this as muscular weakness. She has had a hard life, economically speaking, living at or below the poverty level for most of her life. Her husband divorced her rather than be at her side during the attacks expected due to ZetaTalk. Yet she continues, unabated, and undeterred. 19 of 20 do not do so. The zetas have said that in it's stopped position, the earth's is rotating approx 4 minutes faster : ../index/earth247.htm Solar time (aka measured time - such as we set our clocks by) is the time taken for the sun to rotate in the sky, from one day to the next. Sidereal time is the time taken for some distant constellation to appear in the same place in the sky, from one night to the next. Usually sidereal time is slightly longer, as the earth's orbit is a curve, so the earth has to spin slightly more for objects in the sky to match the prevous day's position. Sidereal time is said to be on average 4 minutes more per day, than solar time http://en.wikipedia.org/wiki/Sidereal_time#Exact_duration_and_its_v Astronomers use sidereal time to locate known objects in the night sky. An astronomer takes the local time, and obtains the sidereal time given a set of established formulae, which is then used to locate astronomical bodies in the sky.A debunker on the old forum stated that if earth had stopped in it's orbit, that the passage of sidereal time would reduce until which point it would be the same as solar / measured time, therefore he concluded that the earth had not stopped in his orbit. I agree with the first part of this statement about sidereal time affecting observations, but not his conclusion. ZT's have said that clock manipulation is already in place, and 4 minutes has been stated in many places as an observed variance, which as it happens, would also be the approximate difference required to make a solar time/sidereal time conversion still work in a stopped orbit. If the administrators of atomic clocks have slowed their clocks to maintain the correct relationship between solar time and sidereal time (slowing by approx 4 minutes per day), then people deriving sidereal time from a "pre-cooked" solar time, would not notice any apparent issue with thier astronomical observations using sidereal time. I would imagine all "serious" astronomers, and increasingly amateurs or even your average domestic user, would be using time from the "pre-cooked" USNO atomic clocks. Can the Zeta's comment on the above? Also, I wonder if this is part of why things seems to be subjectively progressing more quickly these days? Our clocks tell us time is passing more slowly, but our natural senses tell us they days are actually passing more quickly, causing a discordance? Due to the fact that the Earth's rotation is controlled by the Sun, by the synching to the Sun that the Earth does daily, rotation was sped up by 4 minutes a day when the Earth's orbit stopped. The reason for the 24 hour day is the synch points, where the Earth wishes to face certain parts of herself to the Sun when attractive parts of the Sun beckon, daily. Thus, the 24 hour day remained intact while the Earth itself turned 4 minutes faster each day. So do the constellations rotate with the seasons, as expected? We have exhausted Nancy explaining that they do not, and how this can be determined. What man sees overhead in the skies at night is what is there constantly, if not blocked by the Sun's glare. From winter to summer, or a full 6 months progression of the year, the view is almost identical. You ask why astronomers are not admitting to this, and the answer has also been exhaustively explained. There is a cover-up and their work requires signing security oaths as they see UFO's as well as stars. The Moon's orbit is highly erratic, a fact noted by the common man, but the media is not mentioning this, nor will astronomers admit this fact. And no, time is not passing more quickly. It is the Earth that moves every so slightly more quickly, in order to catch up to those parts of the Sun it wants to be in synch with. As we've all been pre-occupied with the oil spill and other catastrophes, Israel seems to be preparing for a war or major attack on Southern Lebanon possibly dragging Syria into it. Their attack on Gaza this week is probably part of a planned sequence of events leading up to a major attack, it's been said they want to flatten Southern Lebanon this time, wiping out Hezbollah. We recently gave Israel 250 million for defense in addition to all the other money. Netanyahu has a planned meeting w/ President Obama next week in Wash DC. Will President Obama give Israel the green light, (like the previous Bush Hawks) or will he give Netanyahu a warning? It is no secret that Obama has been pressing Israel to stop trying to settle in Palestinian land, and that Israel is defying Obama in this. Nevertheless, the longstanding habit of considering Israel an ally in Arab territory puts any such demands in conflict with existing treaties and congressional action such as funding. As we have endlessly stated, Obama as President is not a dictator, and is obliged to work in concert with many other voices and former promises. It will be the threat of future cooperation by the White House that will be the club that can be used, and we predict will be used, against Israeli arrogance and aggression. Will Israel escalate until WW III breaks out in the region, as many prophecies predict? We have stated, since the start of the ZetaTalk saga, that though much sabre rattling may commence, that no war on that level will emerge prior to or after the pole shift. I'm interested in what the Zetas have to say about colloidal silver and it's benefit for use now and in the AfterTime. I've found it to be useful for healing and wonder if I should go back and research how to make it for the benefit of all I can help - do the Zetas believe this is useful for humans as well as hybrids? The ancients were aware of a property of silver whereby it inhibited bacterial and viral growth. Thus, the prevalence of silverware and silver platters among the elite, who could afford such items. They didn't understand the process, and in fact were not aware of the concept of germs, but did recognize that silver goblets, passed among many, did not pass along a sickness. What is it about silver that inhibits and even kills germs? Cells in multi-cell creatures, such as animals, must be able to co-exist with other cells of the body, even when their shape and behavior are markedly different. Working in close proximity to other cells, they must be good citizens in the cell community. Cancer is an example of a cell type breaking that social bond and going rogue, out for itself. Germs on the other hand are predators, who work alone and therefore have not evolved beyond mutating to adapt to changing conditions. They are missing some of the defenses that multi-cell organisms have developed in order to have a diverse cell community. Silver, as any metal or any atom for that matter, interacts with what it encounters. Silver corrodes, needing to be polished, due to this interaction. It interacts with the atoms of the germs it encounters, a chemical interaction such that the germ cannot thrive. The germ assumes it will encounter only prey, other cells that have no defenses against IT, and has not bothered to develop defenses of its own. The cells of the body have learned how to interact in various chemical environments, various contacts with other cells and body fluids, and thus is not so affected. Learn, please, as Zetas supervise here maniacs-presidents of the countries for example such as South Korea? Its president the present maniac dreaming of war. While it is possible to prevent war, but the first error becomes fatal. All of us people also can be mistaken. Whether also what they could recommend Maine of the Tank for anticipatory suppression of maniacs of type? Because now the world keeps only that nobody has yawned and was not mistaken. And many of those who provide safety directly we will tell beggars. Also can happen so that in the absence of money at somebody the control will be wasted even on time, and then will be already late. Therefore it would be desirable to learn as to compensate such problems that occurrence of such situation did not lead to uncontrollable development of a situation and war. Very few dictatorships are run by the strong hand of the dictator alone. First, there is the palace guard, those closest to the dictator. They invariably enjoy tremendous perks, but at the same time are subject to being savaged by the dictator should they fall out of favor. Consider Stalin, who had regular purges. Then, if the country is large enough, there are intelligence agencies, who spy on the dictator as well as his subjects and even on each other. Consider Pakistan, where any president lives in fear of opposing the ISI which had a hand in the assassination of Bhutto. A further complication is the countries military, which may back a dictator or topple him in a coup. All these elements must cooperate with a dictator should he go insane and wish to just attack another country on a whim. And they frequently don't cooperate. Instead, the dictator has a heart attack, or becomes isolated with few visitors allowed, and matters go on in the country without the direct strong hand of the dictator. There is a large amount of methane gas under the Siberian tundra. Once this melts with the pole shift the gas that has caused extinction will be released. Will there be help in keeping this contained? Methane gas does not cause extinction of species, but can cause explosions as was the case for the Tunguska explosion. A quake split the permafrost, releasing methane gas into the air. This pool of gas rose into the upper atmosphere, as methane is lighter than air, and when sparked by lightning, exploded. The explosion followed the path of rising methane back to the ground in Siberia, in Tunguska. Can this type of explosive behavior be anticipated as quakes increase around the world? Yes, but such explosions will be extremely rare. The release of methane from pockets is already in evidence, under sea beds or where the ground shifts. This is what caused the famous Earth Fart day. If you smell this rotten egg smell strongly in a location, vacate and allow it to air out. a) The post-apocalyptic survival phase. b) The ecological small community phase. c) The eutopic supertech phase dominated by zeta-human-hybrids. Would you care to correct, comment or add a few keywords? You are mentioning what will be various experiences, various lifestyles, right from the start, depending upon the survivor in question. Clearly, the vast majority of survivors will be in what you term post-apocalyptic survival - stunned, unsure about what has just happened to them, in shock, and thoroughly unprepared for life in the Aftertime. We have stated that most of the Earth's populace will be unprepared for the pole shift, as even if the cover-up breaks in some countries, the truth will be strongly opposed by others who fear panic in the populace or are themselves in total denial about what is pending. Thus, it will be an argument at best, and many will thus dismiss the issue as a theory. Most of the world's populace does not surf the web or indulge in what are termed conspiracy theories, as they either don't have the technological resources or the time. They struggle from dawn to dusk to feed themselves and their families. This phase, for those experiencing it, will last no more than a dozen years before migrating to what you term an ecological small community phase. Some survivors will of course live out their lives in the woods as hermits, by choice or necessity, but in the main survivors who were at first stunned and taken by surprise will regroup and form communities as most of the world's population is used to such structure. A very small percentage of survivors are those who will have deliberately formed survival camps and sought to structure them before the pole shift. These camps will in the main expand quickly after the pole shift because they will take in migrating survivors, though will be selective about this. They will also be role models for those not being accepted into an existing camp, and thus their influence will be much greater than their initial numbers. By the time 100 years or so has passed and the Earth is ready to be moved into physical 4th density, with those incarnated on Earth being at least 89% Service-to-Other, the picture will have changed. All but a handful of humans living in survival camps or as hermits in the woods will either be living in Hybrid communities or nearby such communities. There will be a steady curve in this direction, from the start, but this will be more an exponential curve than a linear curve, rapidly increasing over time. We have warned that during the hour of the pole shift, that those living on Caribbean islands and in Central America are at severe risk. Between the great N American Plate and the great S American Plate lie smaller plates that will be ground up or pushed down. Guatemala lies on the border between the N American Plate and the Caribbean Plate, and thus when either of them move, there is shifting of the ground there. 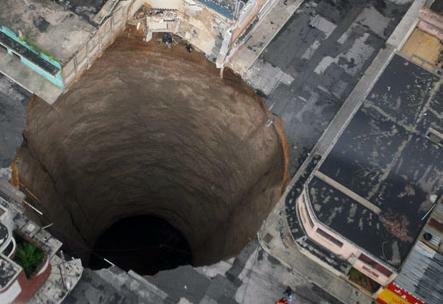 A very similar sinkhole occurred in 2007 in Guatemala, and matters will get worse. 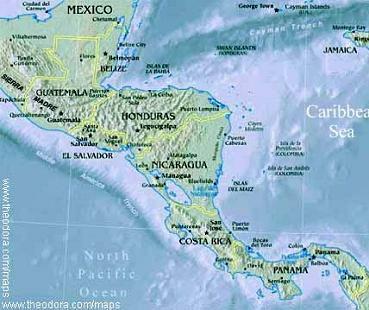 The Caribbean Plate is under great pressure to sink as the S American Plate intends to roll its top part toward the west. The N American Plate is under great pressure to adjust, shoving Mexico suddenly to the west when the New Madrid shifts and adjusts. Any and all of this will be devastating for Guatemala. Ok, so Earth, when it is pulled 30 million miles by PX, will not be pulled in the same path as its orbit. Therefore, it will be pulled toward the Sun enough to be noticeable? Enough to heat the Earth more than now? Enough to put us at higher risk from solar corona effects? Enough to create static charges in every metal thing on the surface? Enough to ruin all unprotected [faraday cage] electronics? It is still not clear whether the Earth will be pulled further from the Sun or closer to the Sun. As PX is between Earth and Sun, it is presumed it will be closer to the Sun. Thus the Sun should appear larger in the sky every day, and heat everything more, making storms more powerful as more water evaporates. Perhaps roasting crops and animals and people in desert locations that already have temperatures of 110-130. So we are 93 million miles from the Sun now, how close will we get, and how close have we gotten in the past, assuming this has already happened before. The week of rotation stoppage is a week of terror for the people of Earth. The Sun either stands still in the sky or refuses to rise. But even though the Earth is temporarily drawn toward the monster Planet X in the skies, making it seem to grow in size as it writhes with its many tentacles reaching out toward the Earth, there is not that much change in the temperature of the atmosphere. Planet X is blocking the way, blocking the path between the rays of the Sun and the Earth. The massive dust cloud of Planet X is being hosed directly at the Earth, and thus the seeming appearance of tentacles reaching toward Earth. Dust clouds are a shield from sunlight, as those under a volcanic gloom can attest. Hopi Elders speak about stone tablets in their possession. They say Tibetan people and an African tribe have equivalent artifacts. Will the dispersed stone tablets be brought together before the pole shift as prophetized by the Native Elders. Here some sources that we can find on the web. In fact, it is a question concerning the prophecy brought by Dan Evehema and Thomas Banyacyca. A 1986 version given by a Cherokee, Lee brown can be found too. All this 3 sources have a part dedicated to the sacred stone tablets and their role during the "time of purification". "They spoke of the part of the story about the times yet to be, where people called the Warriors of the Rainbow would come and somehow set things right in the troubled world - and they would come bearing a rock, a carved rock that would signal to the Hopi that these were the people of their prophecies." If a petroglyph can be found on cave walls, depicting spirals in the sky, then certainly a similar message would be passed down routinely in all cultures surviving a pole shift. The Egyptians had a pictorial language, hieroglyphics, which was translated into English to become the Kolbrin. Tablets are simply a step up from a petroglyph on cave walls. Will all cultures combine their ancient knowledge prior to the pole shift? This process is going on now, as shared information, and does not need anything as formal as tablets laid out on a table together. What's going on with the Korean scuffle? The Zetas said the sinking ship was an accident but last week Hillary said she had proof it was attack and told the North to expect a tough response, as both cut ties with each other. We stated, when asked, that there was no media cover-up over the incident but did not address the cause. This incident is a reflection on the increasing tensions that the government of N Korea is facing as its aging and ill dictator is slipping toward death and losing his grip on any sanity he once possessed. N Korea had formerly taken a belligerent stance in order to demand food for its starving population in exchange for cooperation on nuclear development and armaments sales. The palace guard around Kim Jong-il now see that by allowing him to call the shots, these types of deals will be lost, and their control over a starving and restless populace will become even more tenuous. Thus such overt acts as deliberate attacks on S Korea are not likely to continue, but rather attempts to return to diplomacy. Kim Jong-il will be present only as a figurehead, we predict. The following Internet site contains a report about the Hugeton_Panhandle Natural Gas reserve which, according to the report, underlies almost all of North America and now contains an explosive mixture of gas and air. http://www.america-in-prophecy.org/THE_GREAT_ABYSS_SAN.html The report says that one spark anywhere in it will ignite the whole reserve with disastrous results. Could the Zetas please comment? This report is not a report, it is a theoretical of Biblical texts as prophecy. If this is prophecy, then every preacher is a prophet. Other than being a preacher, his interpretation of the Bible, this man, Vince Diehl, has nothing to say. He has zero credibility. And certainly, he has zero credibility in geology. N America is not floating on a single pool of gas and/or oil, and about to explode. 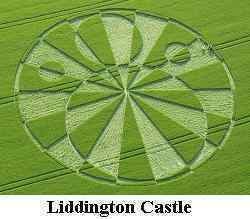 Could the Zetas comment on 2 new cropcircles in England? Silbury Hill is a series of overlapping circles, trapped inside a larger circle. When a confined circle is present, it represents orbit lock. There are 3 planets caught in the cup in front of Planet X - the Earth, the Dark Twin, and Venus. All 3 are being pressed together, with resulting distress and great drama in the skies in this matter before the pole shift occurs. The small circle, looking like a sperm approaching an egg, again shows how the 3 planets in the cup cannot escape the approaching Planet X. They are passive while Planet X active like the sperm, and moving. This is another representation of the clash between Planet X and the three planets caught in the cup in front of Planet X. Planet X has a retrograde orbit, and rotates in a retrograde manner too, clockwise. As with the sweeping arms of the Sun, invisible to man but sweeping the planets along in their orbits, counterclockwise, along with the rotation direction of the Sun, Planet X has such an influence. All rotating planets have sweeping arms, to some degree. This clash is part of what causes the Earth's rotation to slow to a stop prior to the passage, when the Earth and Planet X come close to each other. The dark orb is clearly not a lens flare as it is not emitting light. It is a shadow. We have often described the difficulty in getting a snapshot of Planet X, because, in our words, it appears as a dim fuzzball, not a lighted mass but rather a dark fuzzy patch. This photo shows such a dim fuzzball, throwing sunlight back to the Sun. The dust cloud is not allowing sunlight through. Nice catch! 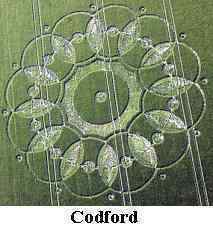 Crop circles with a defined circle, enclosed, indicate orbit lock. Here, a planet is finding it can and needs to go outside of its orbit. This is the Dark Twin, which has already fallen behind the Earth, moving outside of its orbit, to evade the crowding in front of the approaching Planet X. The Dark Twin is normally exactly opposite the Earth in their shared orbit, and this is depicted in Tribano, to aid in recognition. The Zetas have described the tidal wave in the Atlantic during the pole shift coming from the stretching of the rift and the water from the poles rushing in to fill the void (as well as coming from the fact that water will remain in place as the crust moves under it). They have also stated that during the week of rotation stoppage, the magnetic rift will be held in place and the lands to the east will continue to try to move eastward, causing stretching and the associated moaning. My question is: Will this stretching be severe enough to cause any tidal waves during the week of rotation stoppage as water rushes in to fill the void and if so, how bad will they be compared to those described in the safe locations document for the shift itself? How much of the overall stretching of the Atlantic anticipated during the whole process will happen before the shift? Is this something that needs to be taken into consideration for the final days? (Although of course people should be in their safe locations before the week of rotation stoppage anyway). Setting aside the European tsunami, which has been addressed as a separate issue and well discussed, this is what Europe and the rest of the world can anticipate. Where there are high tides due to the current Earth wobble, sloshing will get worse during the severe wobble of the last weeks. Then there is the matter of rotation slowing the globe to a stop, and then the sudden hour of the pole shift. During all of this, the water depth, the direction of flow, and the force of this flow are factors to be considered. The Earth wobble, which happens twice a day, has increased weather irregularities, but the severe wobble during the last weeks will cause more tidal changes than at present. The severe wobble is not rapid, however, but a slow lop over to this side, then a slow lob over to that side. So even though the globe wobbles like a top about to fall over, this is not the sudden push of land under water that causes the pole shift tides of 500 feet in height along coastlines. The oceans move with the land, during a severe wobble, and the Earth's rotation continues to moves in the same direction, so water movement such as ocean currents are predictable and similar to what exists today. But during a lean, or a change in direction during a lean, tides can be expected to be much higher. When a lean to the left is in process, the land is moving left while the water wants to remain, so tides are predictably higher where the lip of land is moving under or pushing the water. Likewise for a return, a lean to the right, though the coastlines affected would be opposite to those affected by a lean to the left. When the Earth is laying on its side, in a static position, leaning to the left, the oceans will return to their expected position and currents because rotation continues and gravity controls where they water lies. Any gradual movement of the Earth results in similar unexpected high tides, such as into the 3 days of darkness, or into 6 days of sunrise west. All is relatively normal except during a change in position of the globe. When a slowing rotation occurs, over several weeks, there is pooling of the water at the poles, as we have explained. This is due to centrifugal force no longer pulling water toward the Equator. Water movement is not a rapid matter here, and the depth at the poles has scarcely begun to be noticed before the pole shift occurs. Those affected will primarily be those living around the Arctic Circle, or at the tip of S America, but as the rise will be gradual, this is not expected to be devastating. Surely, by now, they understand that a global catastrophe is occurring. Conversely, all lands to the east and west of the Atlantic Rift, which is being drawn taught, will find their tides shockingly high during the week of rotation stoppage. The stretching of land along the Atlantic, where for instance a loss of sea level elevation up to 150 feet is expected in Florida, is not as noticeable during rotation stoppage because of polar pooling, though much of Florida will be inundated during this time. During the hour of the pole shift, the sudden movement of the globe sets the high tides we have described into motion immediately. Here again the tide can be expected to rise up on the lip of land sliding under the oceans, and this is true worldwide. Europe will find the tide coming from the North Sea. Australia will find the tide assaulting its southern coasts. During the hour of the pole shift, the Atlantic will rip open and water that has pooled at the poles will pour into this rent as the globe moves under the water. But this will not lessen the pole shift tides assaulting Europe as the rent is in the center of the Atlantic, not along the sides. We have mentioned the devastation that Indonesia and the Philippines suffer when the Pacific compresses, water rushing out of the Pacific and to the Indian Ocean. This comes later during the pole shift hour itself, when the initial slosh of water due to the shift has already begun to pulls back to slosh on opposite shores. Those in Asia will first find water assaulting from the south, the pole shift tides we have predicted. Then after the shift, when the reverse slosh has started, there will also be this press from the side as the Pacific compression finalizes. This causes turmoil in the water flow, devastating to those in boats trying to make their way out of Indonesia and the Philippines. Huge whirlpools develop and will swamp even large boats. This is merely a reminder of what normalcy look like, for the Earth and her seasons, her quiet undisturbed orbit around her Sun. Each month is different yet blending into the former and the next, the steady change of the seasons. This is meant to be a comparison to other crop circles, depicting clash and disaster. Japanese PM Hatoyama is stepping down after only 8 months. They claim the reason is due to the broken promise over the US base in Okinawa. Hatoyama's wife has made public claims of visiting Venus, and Hatoyama himself has the nickname "alien". Is there more to this resignation? Is he feeling guilt over the PX coverup? http://www.msnbc.msn.com/id/37458490/ns/world_news-asiapacific/ [and from another] Lower House of Japan's Parliament Elects New Prime Minister [Jun 4] http://www.cnn.com/2010/WORLD/asiapcf/06/03/japan.prime.minister/index.html?hpt=T2 Eight months ago, Hatoyama 's Democratic Party of Japan won a sweeping victory, an outcome hailed by many as a revolution in Japanese politics. With promises of a cleaner government, Hatoyama worked to shift the political dynamics in Japan by taking away power from the bureaucrats and granting more power to politicians and local governments. The change in governance in Japan is not due to the openness of the Hatoyama or his wife about the alien presence and their desire to be contactees, as this is a popular position in Japan. The Japanese people were looking for a radical change in management, and this floundered. Too much change is resisted by civil servants, who have endless ways of making change difficult. Did the Gore's split have anything to do with his knowledge of PX and the coming shift, given he was the goat to plug global warming and deceive the public? It seems odd timing after 40 yrs of marriage, very rare at least. Public figures often delay divorce because it detracts from their public mission. It is at a minimum a distraction, and also causes the public to doubt the judgement of the person involved. How can they manage a matter if they cannot even manage their own marriage, is the thought. Gore was for many years a senator, then a VP, and then a spokesperson for Global Warming, which, as we have explained, was a prime cover for the Earth changes caused by Planet X. It is only recently that the Global Warming argument has been totally set aside by the public, discounted by revelations that it was a scam, the data manipulated, and even the UN backing to be questioned. Thus, at last he and his wife are free to arrange their private life as they have wanted to do for many decades. I know the zetas will inform us four months before the pole shift. Wouldn't some people in certain areas move earlier because of natural disasters like big earthquakes, and volcanos? We have stated that the pole shift will occur at the end of one of the magnetic trimesters, which occur at the end on either an April, an August, or a December. We are not allowed to say which trimester, nor which year. We have also stated that the last weeks will be within that trimester. This includes a severe wobble, a static position in a lean to the left, 3 days of darkness and the resulting 6 days of sunrise west, a slowing rotation and a stopped rotation of 5.9 days. There are those who today have their eyes opened because they have noted an Earth wobble, with the Sun and Moon not where expected. Or they have noted the ground trembling and an increase in sinkholes and increasingly erratic weather. They have sought answers, and have begun looking to the skies for signs that the prophecies are correct and Nibiru has returned. But most on Earth are exhausted working long days just to set a meal on the table, and would not have the resources to move to a safer location even if aware of what is coming. Does Nancy's vision describe Earth changes from now until the Last Weeks (9 of 10)? Essentially, does the vision represent the 7 of 10 and 8 of 10 event(s)? We have stated that a 7 of 10 will arrived by the end of 2010, and that it will include one or more of the incidences presented to Nancy in the holographic presentation. We also hinted, last week, at what might be included in an 8 of 10, specifically oil explosions in Iraq due to plate movement, continuous plate movement (rather than start or stop activity along fault lines), and planetary clash. It would be safe to say that all of the scenarios in the holographic presentation will occur by or during an 8 of 10 stage. What else will occur during an 8 of 10 we wish to hold in abeyance, as it will be more effectively received later when some of these disasters have occurred. Our words would be theoretical now, where later will be received and acted upon not as theory but as fact. Trust us on this matter. We know human nature well. Fireworks are specifically designed to force a spiral, for entertainment and dramatic effect, as well as explosions. A spiral is achieved simply by a gaseous release which shoots sideways, rather than in the direction of ascent. Thus, the fireworks climb into the sky but also spin round in a circle during the ascent. Debris that descents through the atmosphere is either termed a meteor or a bolide (fireball) depending upon size, but the cause is the same. The increase in such activity since Planet X arrived in the inner solar system is, of course, due to the massive tail of Planet X, which is full of small debris. Much of this debris was collected during the time when Planet X went through what is now the Asteroid Belt. Numerous water planets that rode that region of the solar system were pelted to pieces by collisions with the moons of Planet X. Thus the dirty snowballs that man calls comets, sling about in the solar system. This is where much of the water on those planets went. The planets themselves became the asteroids. If debris contains ice or other material that melts in heat and readily turns to a gaseous state, it is capable of producing a spin upon entry. Thus, the burning fireball, releasing a gas, and producing a dramatic spinning light show.